Pierry J. “Pete” Gentile left this world on February 2, 2019 to be with the Lord. He was born to a loving Italian family on January 19, 1929. Growing up in Chicago, IL, he pursued a career in construction. His career brought him and his family to Baton Rouge in 1973 where he served as the Vice President of Piccadilly Cafeterias for over 30 years. 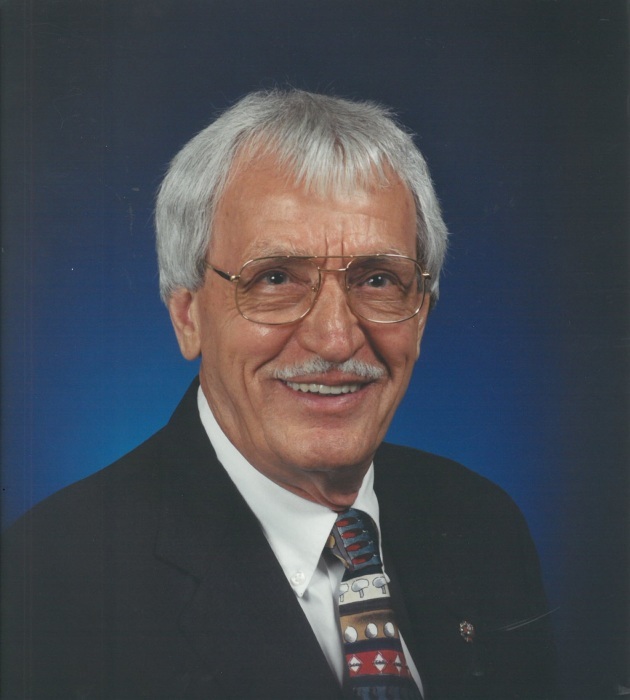 He was a Past Grand Knight for the St. Thomas More Knights of Columbus Council 5530 and a Fourth Degree member of Monsignor Gassler Assembly 319. He was a devoted volunteer for St. Vincent de Paul Society of St. Patrick Catholic Church, providing assistance to his community well into his eighties. Along with his wife, Virginia, the couple provided foster care for several years through Catholic Charities. He is survived by Virginia Alexander Gentile, his loving wife of 56 years, along with his children Lori Gentile St. Germain (Bryan) of Baton Rouge and Gary Poindexter of Hot Springs, AR. He was the proud Peetee to his five grandchildren Lauren St. Germain, Megan St. Germain, Kyle Poindexter, Cole Poindexter and Dawson Poindexter and six great-grandchildren. He is preceded in death by his parents, Joseph and Rose Gentile and his eight siblings. Visitation will take place on Wednesday, February 6, 2019 at St. Patrick Catholic Church from 10:00 a.m. – 12:00 p.m. with a mass of Christian Burial immediately following. Entombment will follow at Resthaven Gardens of Memory. Pallbearers will be Gary Poindexter, Kyle Poindexter, Cole Poindexter, Dawson Poindexter, Bryan St. Germain, Neil St. Germain, Scott St. Germain and David Taylor. In lieu of flowers, please make donations to St. Vincent de Paul at St. Patrick Catholic Church (https://svdpbr.org/) in his memory or extend an act of kindness to a neighbor, friend or stranger. The family would like to extend our sincere thanks to Andrew, Sharon and the Compassus Hospice team, along with our angels on Earth, Victoria Arthur, Lorraine Burns and Tammi Williams. His strong work ethic, kind heart and generous spirit will live on with us forever. AMDG.